BetterYou is a pioneering UK based natural health company specialising in the supplementation of the growing number of key nutrients lost through our dramatically changing diet & lifestyle. BetterYou uses only the finest, food sourced or 100% natural ingredients believing that these are better absorbed and, more importantly, better utilised by our bodies. 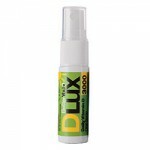 The formulations are designed to be suitable for those restricted diets. BetterYou do not condone the testing of ingredients or products on animals, their team trials every product before launching and all products are manufactured in the United Kingdom. BetterYou has a strong belief in research and clinical trials and has supported initiatives within the fields of transdermal magnesium therapy and also sub-lingual supplementation.Our products utilise the fastest and most reliable delivery mechanisms available including transdermal magnesium therapy and sublingual vitamin delivery. 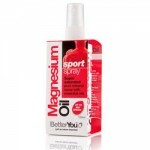 Key point: magnesium oils for repair to injury to joints and muscles- particularly for ‘sportsmen’.